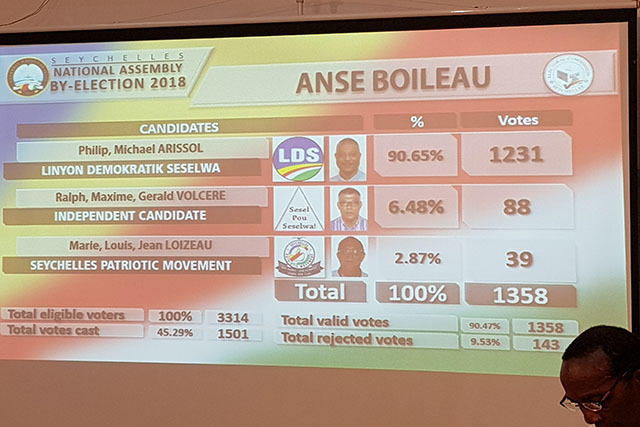 (Seychelles News Agency) - Philip Arrisol has been elected to the Seychelles‘ National Assembly for the western Mahe district of Anse Boileau by an overwhelming margin. In the by-election which took place on Saturday and Sunday, Arrisol -- the candidate of the opposition coalition Linyon Demokratik Seselwa (LDS) -- won nearly 1,300 of some 1,500 votes cast. Out of the 3,614 eligible voters for the by-election in Anse Boileau only 1,502 cast their ballots. The interim chairman of the Electoral Commission, Bernard Elizabeth, said that this was expected as fewer people vote in by-elections compared to general elections. 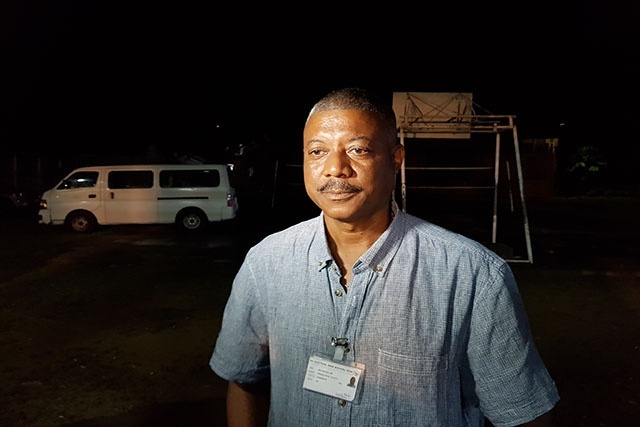 Arrisol will be sworn in as the member of the National Assembly for Anse Boileau in the sitting on March 6. He replaces Patrick Pillay who resigned both as Speaker and as an elected member of the legislative body late January. Pillay, who was an elected member of the opposition coalition Linyon Demokratik Seselwa (LDS), became the third speaker of the assembly in the Seychelles Third Republic in September 2016. At the next sitting, a new speaker will be elected.